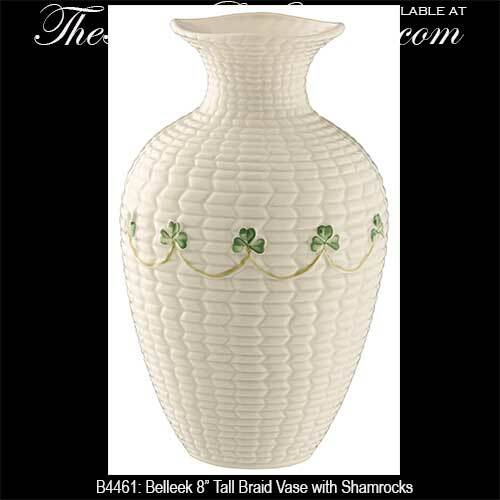 The 8" tall Belleek braid vase is enhanced with hand painted shamrocks. The Belleek braid vase was introduced in 2016. The Belleek China braid vase features hand painted green shamrocks and measures 8" tall x 4 1/2" wide. The Belleek vase is hand crafted in Belleek, Ireland and it is gift boxed with a shamrock history card that is complements of The Irish Gift House.